Jurgen Klopp will continue a policy of rotating to keep his Liverpool side’s title charge maintaining forward momentum when they host Newcastle at Anfield this afternoon. Trent Alexander Arnold, Xherdan Shaqiri and Gigi Wijnaldum come into the side in place of Nabi Keita, Fabinho and James Milner. The Reds begin the day with a four point advantage at the top of the Premier League table after the remarkable slip-up of Pep Guardiola and Manchester City against Crystal Palace last time. Eight of the last ten teams to lead at Christmas have gone on to win the title race. But the club’s German manager, in his pre-game media duties, has stressed the need for cool heads in the heat of the busy festive period. "A lot of things can happen," said Klopp. "Always in the moment you think you're OK - then something happens and it is not OK any more. "We all have to fight. We all have to be focused, not nervous. "If you want to have guarantees, go for another sport. If you want to enjoy the ride, to try everything you can to be as successful as possible - welcome. Let's go for it. "I'm really relaxed. There's no extra pressure on us because of a four-point gap. These kind of poker games we do not play." 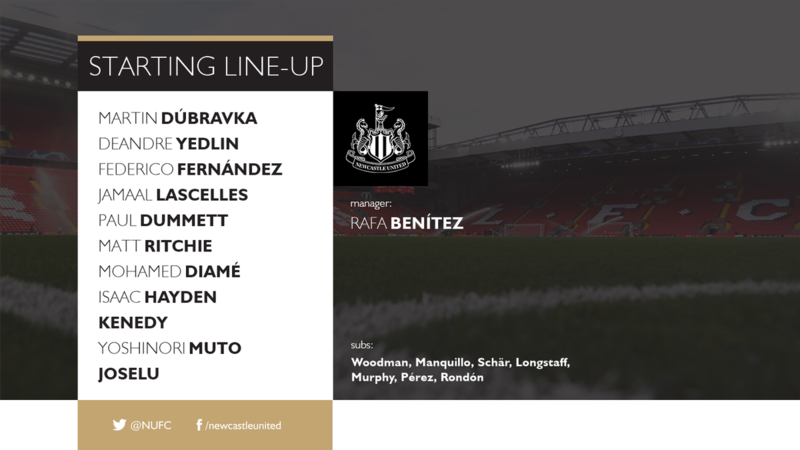 The home fans will reconnect with a coach that is fondly remembered on Merseyside in the shape of Newcastle boss Rafa Benítez. The Spaniard topped the table at Christmas back in 2008 and went on to relinquish a lead to Manchester United as the pressure told. He may have a cautionary word for the current Reds boss back behind the curtain. #LFC line up v Newcastle: Alisson, Alexander-Arnold, Lovren, Van Dijk, Robertson, Wijnaldum, Henderson, Shaqiri, Firmino, Salah, Mane. Subs: Mignolet, Clyne, Fabinho, Keita, Sturridge, Lallana, Origi.